The plaque commemorates those who died in service or were killed in action in the Pacific campaigns during World War Two. 60 years since the victory in the Pacific 1945. 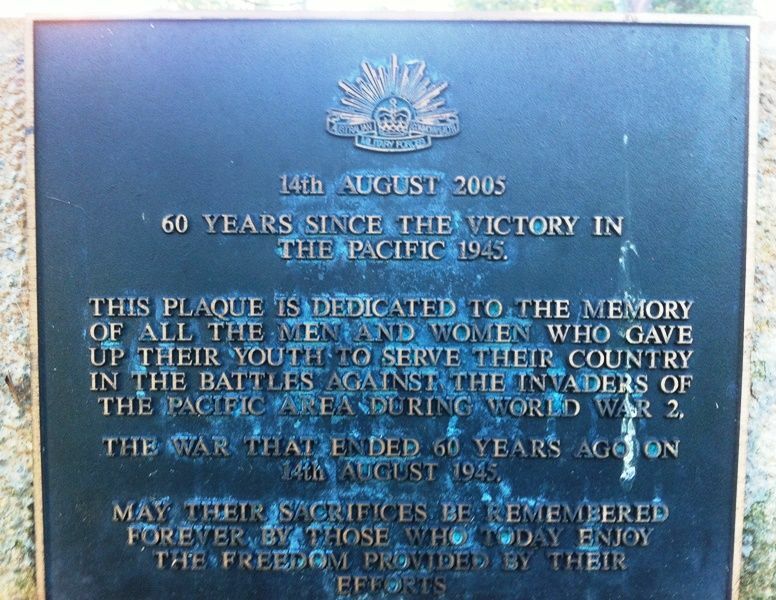 This plaque is dedicated to the memory of all the men and women who gave up their youth to serve their country in the battles against the invaders of The Pacific area during World War 2, the war that ended 60 years ago on 14th August 1945. May their sacrifices be remembered forever by those who today enjoy the freedom provided by their efforts.